There are times when you need an easy and healthy recipe. You know, something fast that isn’t a diet-buster. 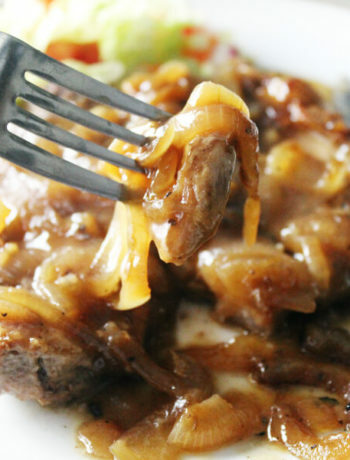 Veggie Sausage One Skillet Meal is exactly the go-to dinner recipe. Easy, check. Healthy, check. Fast, check check! 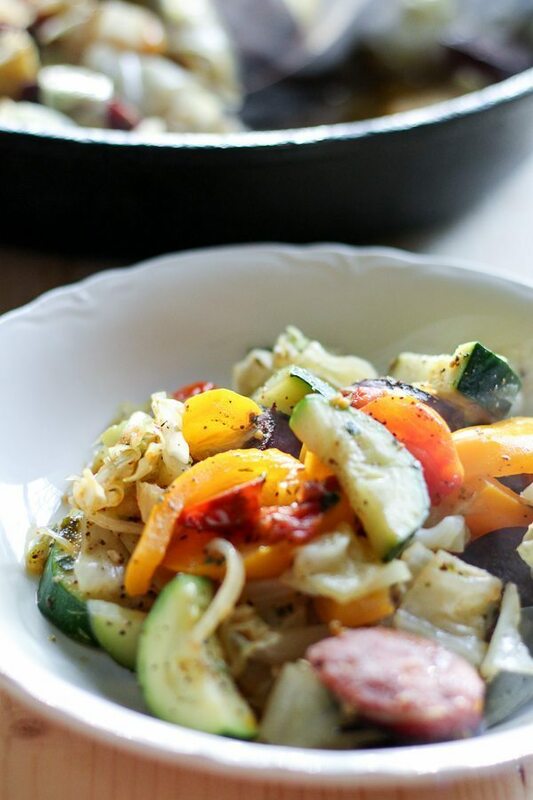 Fresh zucchini squash, inexpensive chopped cabbage, sweet bell peppers and tangy cherry tomatoes …so good! 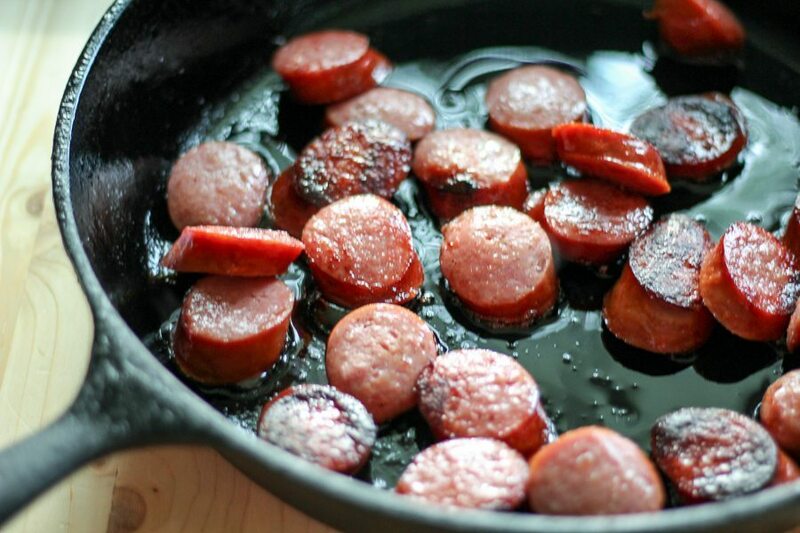 Combined with smoked turkey sausage, this one pan recipe will be a hit with your family. Veggie Sausage One Skillet Meal : One Pan, Healthy Ingredients, Less than 30 Minutes! Food does not have to be complicated. Isn’t it funny how sometimes the best recipes are really simple? This especially holds true with this Veggie Sausage One Skillet Meal. So easy! 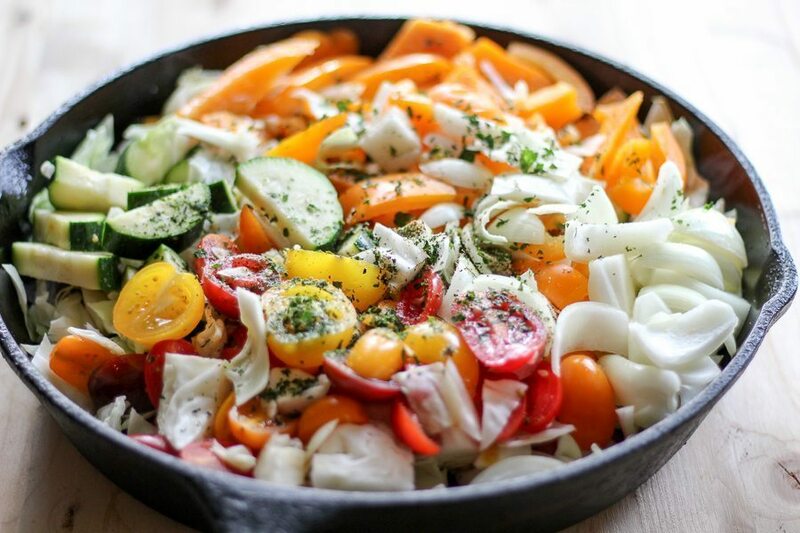 Our favorite part of this one pan recipe is the bright, colorful and FRESH vegetables. You can totally make this recipe your own using your favorite vegetables. We tried to hit all of the colors of the garden by using zucchini, cabbage, bell pepper and tomatoes. But we can so imagine this one skillet meal with yellow summer squash and bok choy. We used smoked turkey sausage to keep this recipe on the healthy-side, but you can use your favorite. Or if you are vegetarian or want a meatless side dish, skip it. Trust me, the flavors of the seasoned vegetables are delicious. 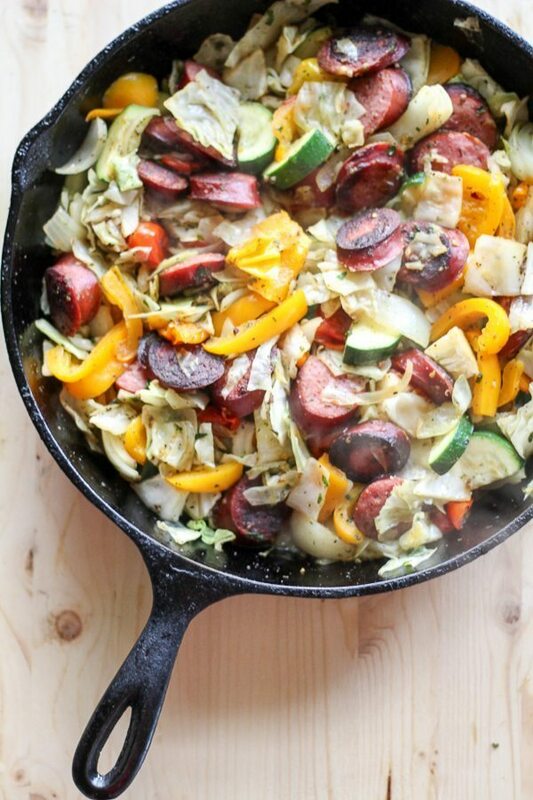 A few simple seasonings flavor this veggie sausage skillet. Garlic, salt, pepper and basil. That’s it. 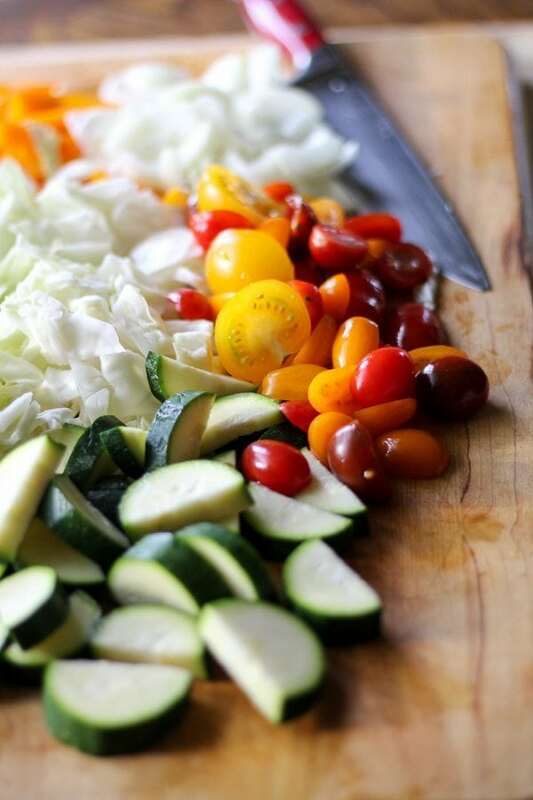 Just pile the fresh chopped vegetables on top, cover and simmer. Looking for more One Pan Recipes? The cherry tomatoes will be bursting. 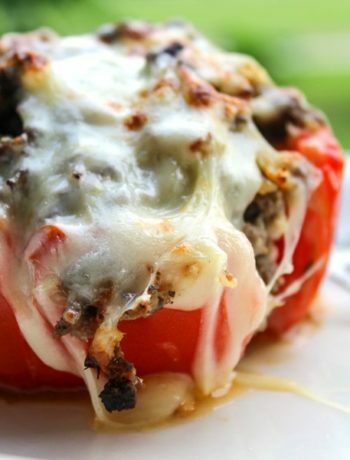 The juice from the tomatoes combines with the water and seasonings and creates perfect flavor. Plus, this recipe is pretty enough to serve to company. Another reason to file this fast and easy recipe as a keeper. 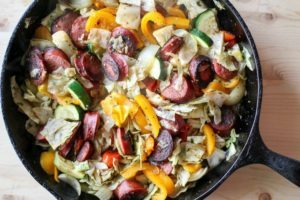 You are going to love this easy (and delicious) this one skillet meal of smoked sausage and fresh, healthy vegetables. 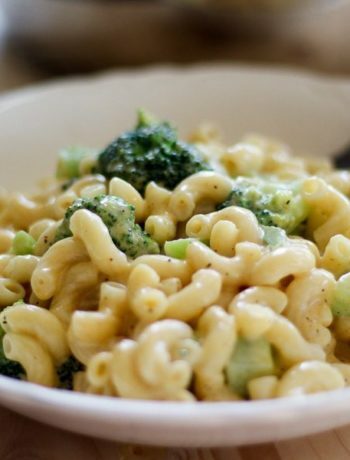 Use your family's favorite vegetables to create a nutritious weeknight meal. Heat oil in a large skillet to medium high. Cut the smoked sausage into 1/2 inch sized pieces. Cook in oil until browned. While the sausage is cooking, chop up the vegetables. Cut the cabbage, pepper, and zucchini to a large rough chop. Peel and cut the onion into wedges. Cut the tomatoes in half. Once the sausage is done, layer the vegetables on top. Add the garlic, basil, and salt and pepper. Stir to combine. Pour water over everything. Cover and reduce heat to medium. Cook for 5 minutes covered. Uncover and cook for 5 more minutes, stirring occasionally. Thanks, Sam! We make a variation of this recipe all the time around our house. Easy, mostly healthy and everyone in the house will eat it.